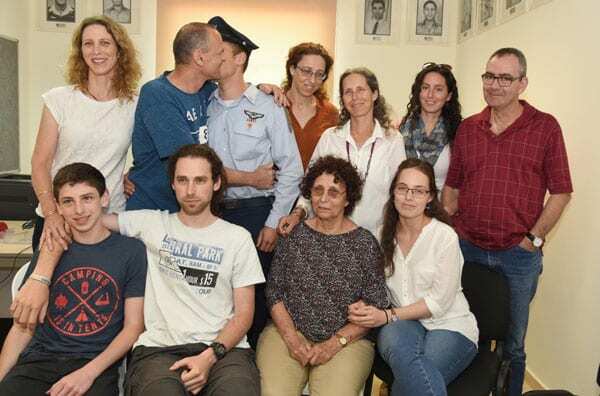 On Yom Hazikaron, Israel’s Memorial Day for Fallen Soldiers, the family of Lt.-Col. Ohad Shadmi—a legendary and highly influential air force pilot and squadron commander—turn their thoughts to his lasting legacy…writes Yaakov Lappin/JNS. Lt.-Col Ohad Shadmi, killed in air force accident on March 6, 1970. Shadmi’s remarkable influence extended to his three daughters, who went on to follow in their father’s footsteps and serve in the Israeli Air Force after losing him in an air accident in 1970. His grandchildren are now continuing the same family tradition. In the 1950s, Shadmi flew Mystères French-made fighter jets and was a member of a team that received Israel’s first Super Mystères planes in 1958. 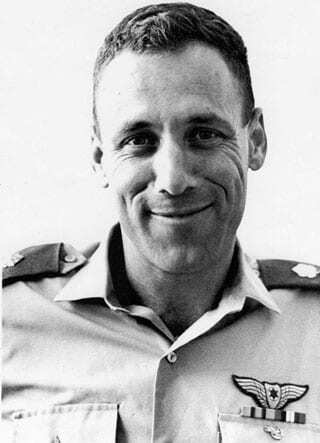 In 1967, he became commander of the air force’s 109th Squadron, and prepared it for the assaults later conducted by the Israeli Air Force during the Six-Day War. A month before the war’s outbreak, Shadmi travelled to the United States to receive the IAF’s first A4 Skyhawk planes, returning to Israel shortly before combat began in June of 1967. He took part in waves of strikes on enemy targets in Egypt and Syria during the conflict. After the war ended, Shadmi became the first pilot that flew the A4 Skyhawk in Israeli skies. He flew many operational hours during the War of Attrition that followed the Six-Day War. Later, he began flying F-4 Phantom jets after joining the 201st Squadron (also known as “The One Squadron,” which today flies F-16I jets). On March 6, 1970, Shadmi was killed in a flight accident, together with his navigator, Natan Marom. A technical malfunction caused Shadmi and Marom to eject from their aircraft at high speed; neither survived. “This incident caught my mother, who is the middle child, at the age of 7, as well as her older sister, at the age of 10, and her younger sister, aged just three months,” Capt. O (full name withheld), a pilot currently serving in the IAF, told JNS. Capt. O is also Shadmi’s grandson. An Israeli F-4 Phantom jet. The same plane Lt.-Col. Ohad Shadmi flew as part of the 201st Squadron. Shadmi’s daughters went on to serve in the air force “to see what their father did,” he said. “A rift was created in their heart, and they wanted to serve in these roles. His influence was so great that it also reached the next generation, the grandchildren,” added Capt. O. “We all served in the air force because of the influence that he had on us. It was this vacuum, the desire to learn, that overtook us,” he said. In the 1950s, Ohad Shadmi met his wife, Ruth, at Tel Nof air force base near the city of Gadera, where he was serving as a flight instructor, and where she, too, served in the force. This was the beginning of a multigenerational Israeli Air Force family. Capt. O’s elder brother also served in the air force, and his younger brother, still in high school, is eager to do the same. Noah Shadmi, Captain O’s aunt and Ohad Shadmi’s eldest daughter, said that the arrival of Remembrance Day floods her mind with thoughts about the air force’s fallen personnel. “It’s in the subconscious, whether we want this or not,” she said. Born on a military base to two serving parents, Noah described the air force as “both our intimate and expanded family. Dad was ,of course, a role model. I was 10 when he was killed. From the point of view of a 10-year-old girl, I remember when we moved from Hatzor to the Ramat David air force base [in northern Israel], where he received command of the squadron. I was very impressed that he commanded people,” she recalled. Years later, Noah went on to serve in the air force herself as an operations officer—a very new role at the time. Growing up, she heard many stories about her father from those who had served with him. “He did not accept conventions. He tried things out and experimented. If a plane arrived and it came with an instruction saying something, he would test it to see if it was true before accepting that. Because of his curiosity, he pioneered new paths,” she said. This quality led to Shadmi’s squadron receiving targets during the Six Day War that were considered until then to be out of range for the Super Mystères planes. “He broke that convention,” said Noah. Shadmi also pioneered a flight technique for conducting strikes and then returning to base to pick up new armaments, which is still influential to this day, she added.